Kristine encourages young pros to practice in front of a mirror. It will help get your message across smoothly and build confidence. And don’t forget to check your social media accounts before you walk in to an interview. In communications, it is important to have a professional presence online and employers check for that, so be prepared. We suggest you check out the Ellen Degeneres Show as she audits her audience members and finds incriminating photos of them on Facebook. If she can find them, so can your potential employers. When all is said and done, the interview is over, don’t forget that personalized thank you note. 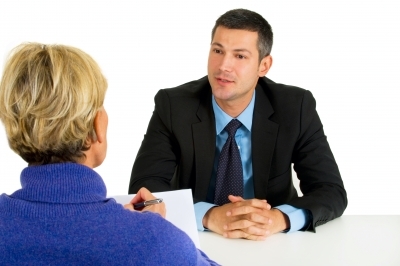 It is just one more chance to get your name and make an impression on your interviewer. Plus, it is just a nice gesture. Finally, if you are in Ottawa, Canada on May 30, make sure you check out the CPRS Student program called Dress4Success, a fun and informative evening of presentations by industry experts, topped off with a stylish fashion show by Suzy Shier. Presentations range from resume tips to online branding. there will be a special presentation by Sherrilynne Starkie, and trust us, you do not want to miss a lesson from her. Register online. This entry was posted in Young PR Pros podcast and tagged communications, interview tips, interviews, job hunting, julia kent, kristine simpson, molli megasko, PR, pr pros, public relations, young pr pros, young pros by Kristine D'Arbelles. Bookmark the permalink.